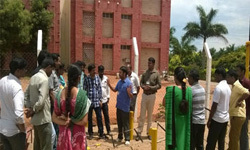 A research project titled ‘Role of Experiential Learning in developing Leadership Skills among Engineering Students’ was approved by the All India Council for Technical Education. A total amount of Rs. 5.00 Lakh was granted for recurring (Rs. 1.00 Lakh) and nonrecurring expenditure (Rs. 4.00 Lakh). The major objective of the project is to develop leadership skill development exercises and evaluate the effectiveness of the experiential learning process provided with. 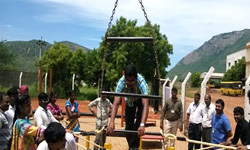 Thus, this outbound experiential learning practice will promote their soft skill development in general, leadership skill development in particular.